This week when doctors weighed in on the escalating gun crisis the NRA suggested, ‘stay in your lane.’ So then there were petitions, #thisisOURlane and images of blood-soaked trauma room floors. 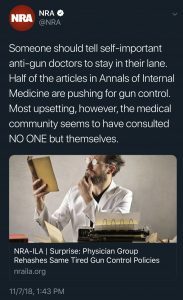 What the NRA doesn’t realize is that doctors increasingly don’t have a lane. Once restricted under the fluorescent glare of small exam rooms, physicians now are part of a profession under redefinition. Physicians are being reshaped as part of a growing public space that interest groups like the NRA would very much like to control. Now physicians collude, create, curate, educate, translate, influence, shape, and build on the rails of public networks. Digital culture has eroded the boundaries that once constrained the lane-locked physician citizen. While collective action to control gun violence is one of the more important physician missions of our time, the reality of the free-range physician goes beyond weapons or the horrible holes they create. #Thisisourlane is as much about guns as it is about how physicians are defined in an age of global networks, individual empowerment and real-time connectivity. Spend enough time here and you’ll see that long ago I left the lane that medicine had put me in. And as they say, this lane was made for you and me. If you like this post about the NRA you’ll like Freerange MD Archives. This covers angles that physicians have taken with digital culture. 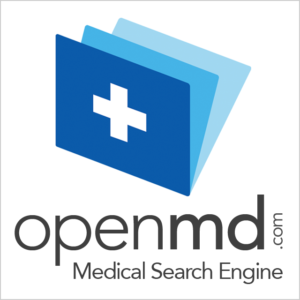 It’s about what doctors are doing without the constraints that have normally forced MDs to walk one path. It’s about change and disruption, evolution and revolution in medicine.